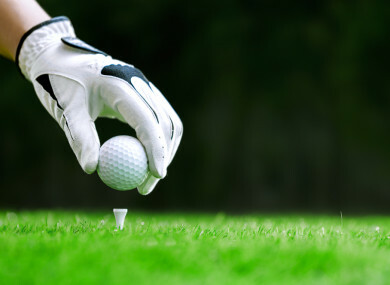 A FEMALE GOLFER has failed in her discrimination action against a Co Wicklow golf club who refused her entry to a ‘male only’ open day competition. In the case before the Workplace Relations Commission (WRC), adjudication officer James Kelly found that Mary Byrne established a case of direct discrimination against Woodenbridge Golf Club after she was refused entry on the grounds of her gender. However, Kelly also found that the golf club satisfactorily outlined the reasons for its decision and availed of a specific defence set out in the Equal Status Act, and that Byrne’s complaint failed as a result. In her case before the WRC, Byrne claimed that there was no justifiable reason other than “blatant misogyny” as to why ‘men only’ open days still exist in this day and age. Byrne said that many golf clubs have now moved into the 21st century, but that Woodenbridge Golf Club has not. Byrne claimed that golf is a sport where men and women can play side by side, and not segregated based on gender as male and female competitions can be run concurrently with success. Byrne, who is retired, described herself as a “keen golfer” and said that she and her husband often play in golf open days during mini-breaks around Ireland. She said that on 24 May 2017, she saw on the Golfnet website that Woodenbridge was hosting an open day the same day. Byrne said that she was informed that there were spaces available in the competition, but was told that she could not play because it was for men only. She said that she pointed out to the golf club’s professional that it was unfair that she could not play on the golf course at the same time as her husband, and that the club’s professional said something about ladies having an open day some other time. Byrne said that this was blatant inferior treatment because of her gender, and that it really upset her. She said that having checked the Golfnet website for 2017, she saw that Woodenbridge advertised 36 open days for men only, but only 17 open days for ladies only. She said that Woodenbridge also advertises seven open days where both men and women can play side-by-side. Byrne said that there is no justifiable reason why all the golf club’s open days cannot be open to both genders, as men and women can enjoy the benefits of the golf course at the same time. Byrne said that in jurisdictions outside of Ireland, there are case laws that support her contention that restrictions on women’s access to tee-times has always been considered unjustifiable gender discrimination. In response, the club stated that it was “hurt” by Byrne’s comments. The club explained how well the ladies’ and gentlemen’s committees work together in the best interest of everyone at the club, and presented witnesses at the hearing to testify to the harmony within the club. The club pointed out that its open days are organised on a simple supply and demand basis, and that it would have a 3:1 ratio of men to women in membership, which it said is on par with the national average. The club said its ability to provide and support gender-specific open competitions remains an important feature for the fair running of the sport. The golf club stated that it is fair to intimate that the incident in question centred around convenience or inconvenience, as opposed to discrimination. The club said that it was also worth bearing in mind that had Mr Byrne sought to play golf the day before, on a day when a “ladies only open competition” had been scheduled, he would have been refused entry for the period that competition was running. Woodenbridge Golf Club said that changing or adopting the format of a course as suggested by Byrne to permit gender-specific competitions to run concurrently would increase the workload of the individuals tasked with running the competition, thereby adding a strain on resources and diminish or interfere with a participant’s enjoyment and ability to play the sport. The club said that such a decision would ultimately have an adverse effect in such revenue-generating competitions, and that golf clubs would struggle to survive. The club stated that not all of its open days are displayed on the Golfnet website. Kelly said Section 5(2)(f) of the Equal Status Act allowed the club to hold specific competitions, and therefore allows for a difference in the treatment of persons on the basis of gender in relation to the provision of its sporting facility or its hosting of events. He also found that Woodenbridge Golf Club is entitled to rely upon section 5(2)(f) as a defence in the case. Email “Golfer loses discrimination case against Co Wicklow club which held male-only competition”. Feedback on “Golfer loses discrimination case against Co Wicklow club which held male-only competition”.